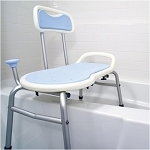 Manufacturer: Innovative Healthcare Products, inc. 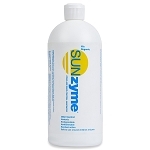 The SUNzyme Natural Stain & Odor Control 32oz. Case of 12 is a highly concentrated formula of natural enzymes that safely and effectively eliminate organic stains and odors. This non-toxic formula helps caregivers safely and effectively provide a clean, fresh environment without harsh chemicals. 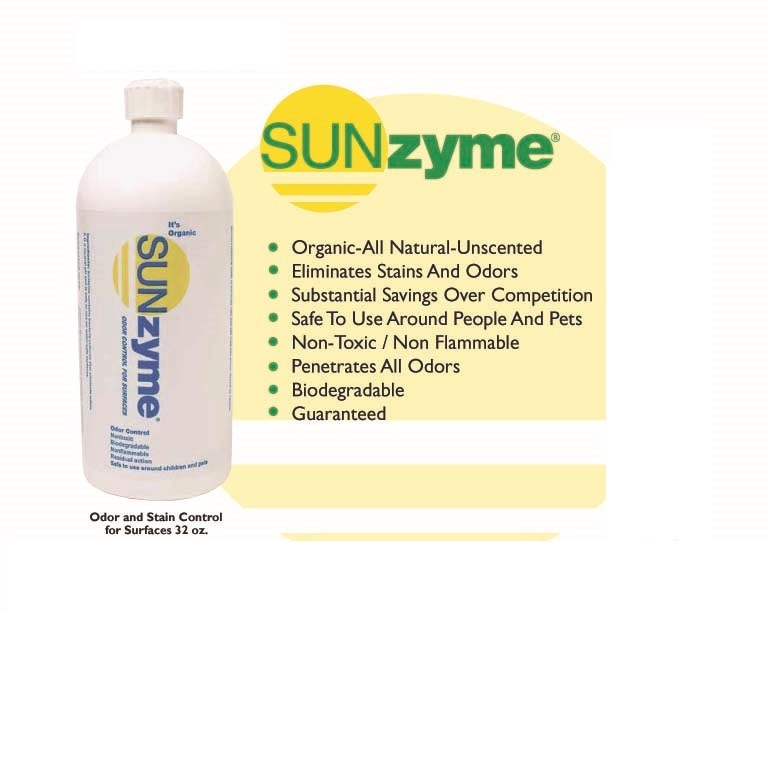 SUNzyme Stain and Odor Control non-toxic, biodegradable, non-flammable formula has a neutral pH for use on water-safe surfaces and is safe to use around people and pets. 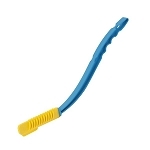 The concentrated formula can be used full strength for tough jobs, or diluted with warm water 1:1 or 2:1, and it will still effectively eliminate stains and odors. 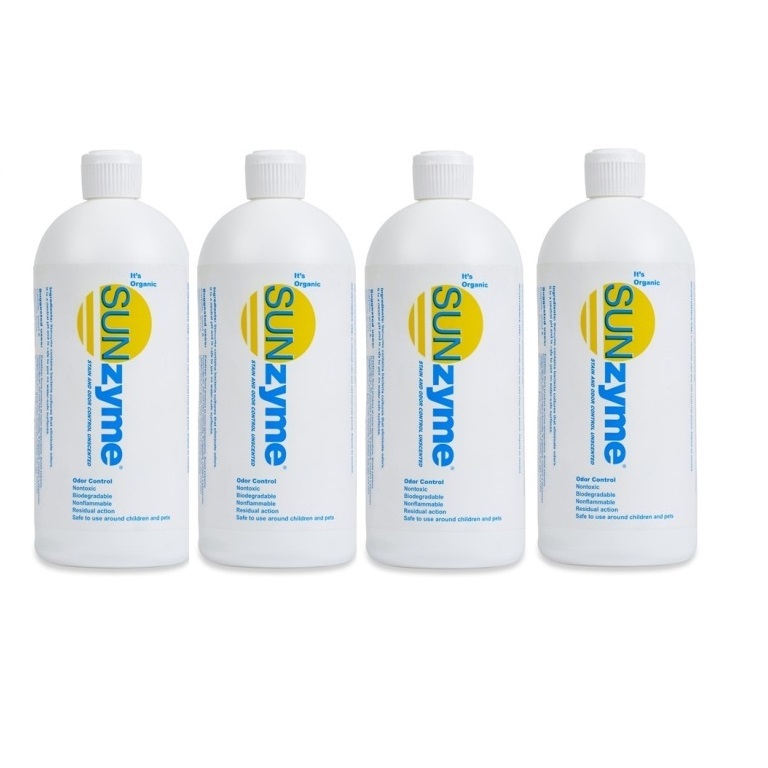 SUNzyme is great for surfaces such as carpet, wood, concrete, and many fabrics. Caregivers will find that it eliminates urine smell from catheter bags and urinals by simply adding 1 oz into the urine bag or urinal. 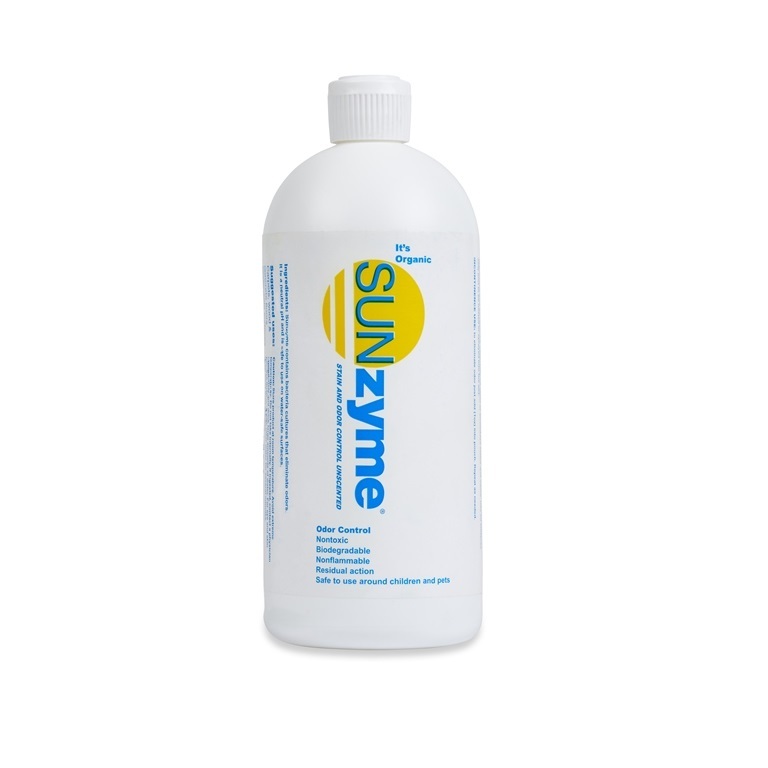 SUNzyme helps caregivers provide an odor free, clean environment without using harsh chemicals. 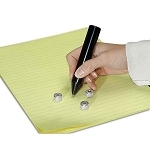 A common misconception is that industrial perfumes will contribute to eliminating odors. Industrial perfumes, otherwise known as masking agents, simply sit on odors and when the initial effect has worn off, the odor still exists and is even enhanced. The total odor level is increased to and overwhelming sensation which confuses the olfactory senses so it does not recognize the malodor. These masking agents are based on the premise that people perceive a mixture of smells as a single odor. They include compounds such as aromatics, alcohols, esters, aldehydes, ketones, and terpenes, all of which are dangerous to our well being. 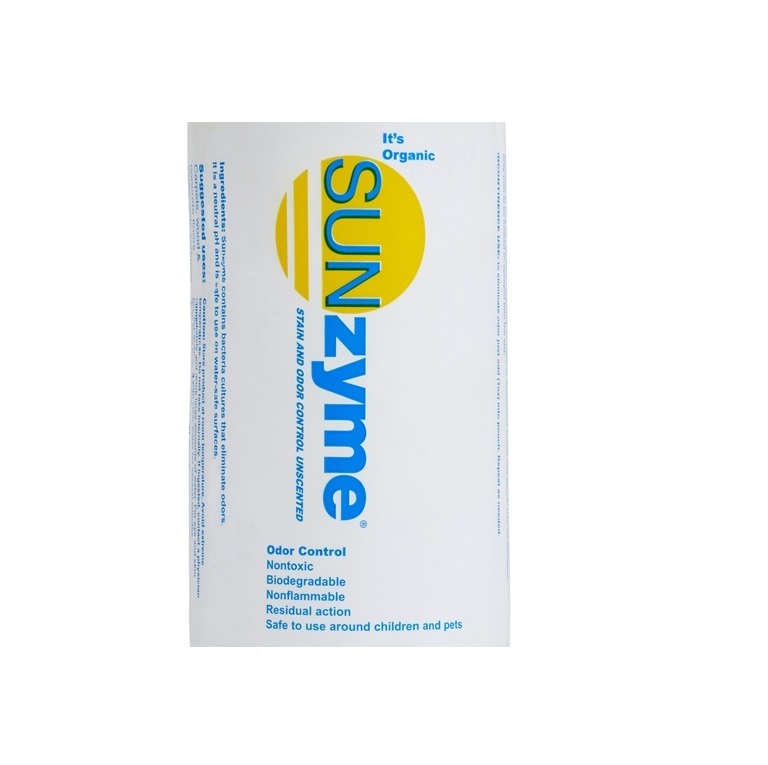 SUNzyme is specifically formulated with 5 different types of bacteria that produce enzymes to attack organic matter. Caregivers will find that it effectively neutralizes urine odors from walls, tile, carpet, concrete, clothing, diapers, urinals, commodes and other water-safe surfaces. Size: Case of twelve 32 oz bottles. 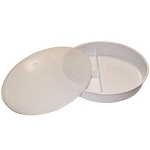 Ingredients: 5 different bacteria cultures, 200 billion enzymes per gallon, lightly scented.